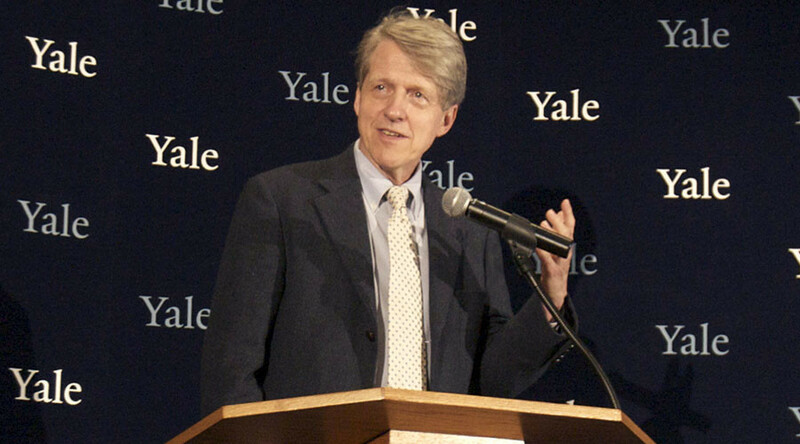 More and more investors are expressing concern that US stocks are overvalued, which may result in a major bear market - characterized by falling prices and widespread pessimism, Nobel laureate in economics Robert Shiller told the FT.
Studies have shown that the level of uncertainty among investors has peaked since the end of the dot-com boom in 2000, said Shiller. Fifteen years ago, the US technology sector index, the Nasdaq Composite, lost 78 percent of its value, falling from 5046 to 1114 points. “It looks to me a bit like a bubble again with essentially a tripling of stock prices since 2009 in just six years and at the same time people losing confidence in the valuation of the market,” he said. “It’s been talked about for so long, everyone knows that it’s coming. It’s just not much of a big deal. You would think that when interest rates are higher people would sell stocks, but the financial world just isn’t that simple,” he said. Last week, German Finance Minister Wolfgang Schauble also warned of a market bubble. “We should learn the lessons from the last [2008-2009 global financial] crisis," he said on Friday. In a week from August 17 to August 25, the share price of a number of US companies fell sharply on American stock markets. In particular, the Dow Jones Industrial Average fell during the period by 10.7 percent, including 3.6 percent on August 24, dubbed ‘Black Monday’. This was the worst one-day fall in the Dow in four years. The Nasdaq and S&P 500 finished the day 4 percent in the red.